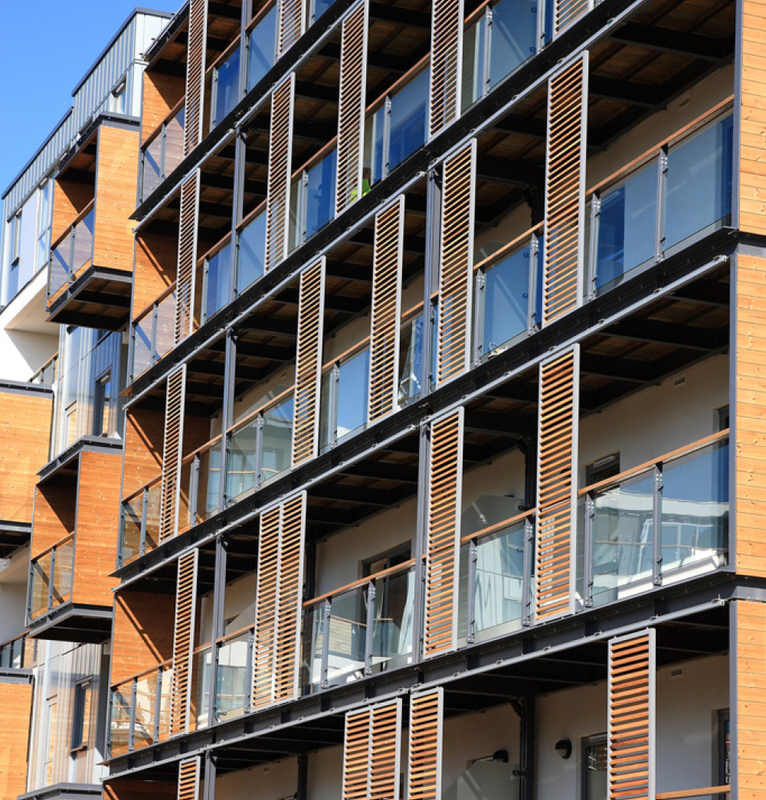 The decision was taken in June 2008 to tackle the whole site and to renovate a total of 975 housing units and to create 2480 new housing units. In addition, new shops were built from scratch as well as school buildings, old people's homes and newly landscaped parks. 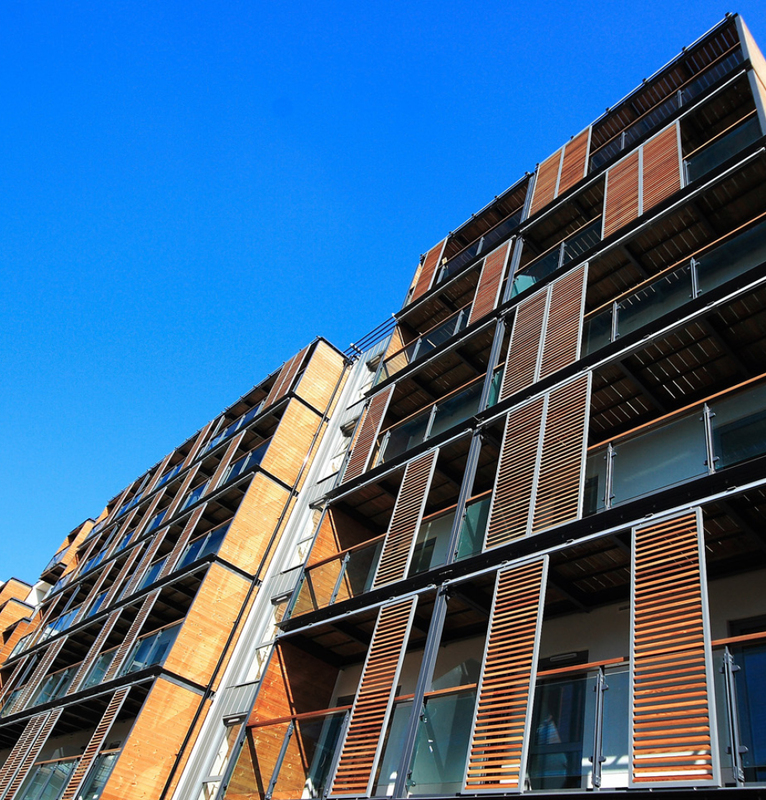 Duco provided quite some flats in this neighbourhood with the necessary solar shading systems with its DucoSlide Wood. 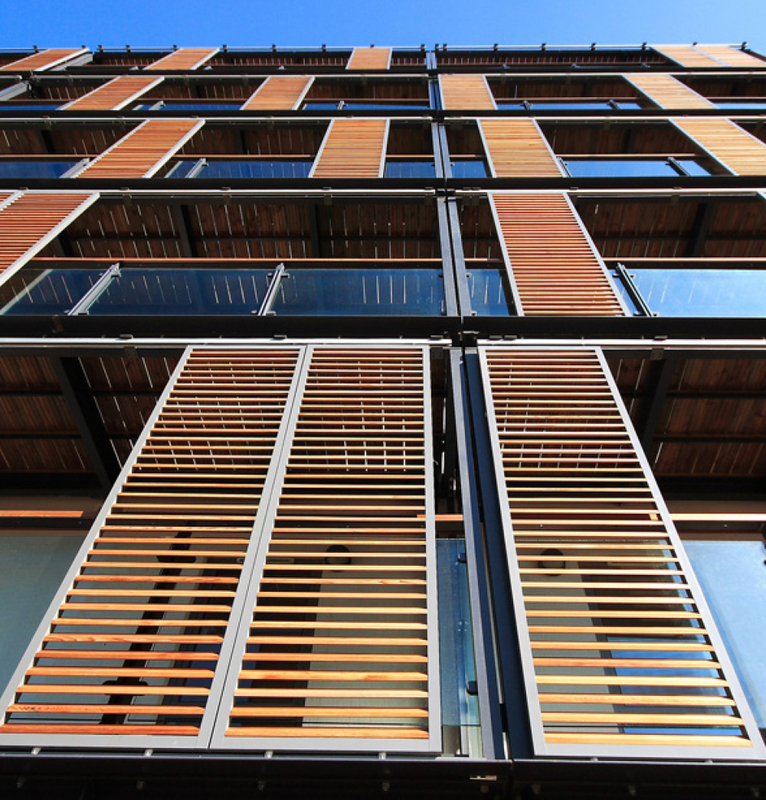 The aluminium sliding panels included wooden blades made from Western Red Cedar that have a sound and durable character. 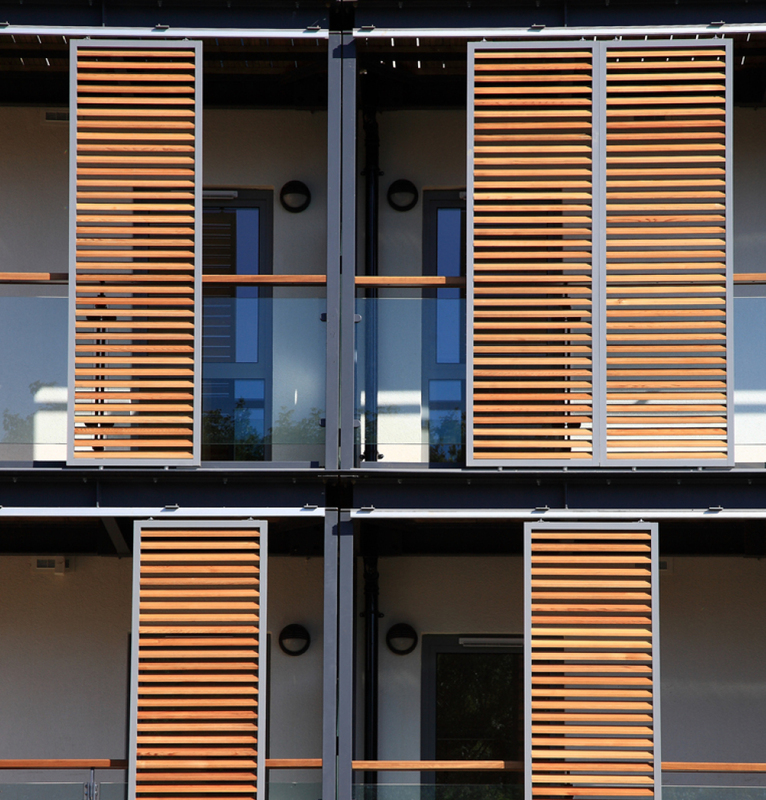 The aluminium frame and the wooden blades ensure that there is an exciting combined action with the large façade of the flats.